I began as a storyteller in the early 1990’s in New York City. In settings from classrooms, libraries and homeless shelters for families, to the stage and large festivals in America and Europe, I have always told original stories. One of my favorite forms is the fairy tale. Having settled a down a bit in my fifties, I decided to edit my fairy tale repertoire into a chapter book series for middle grade readers. 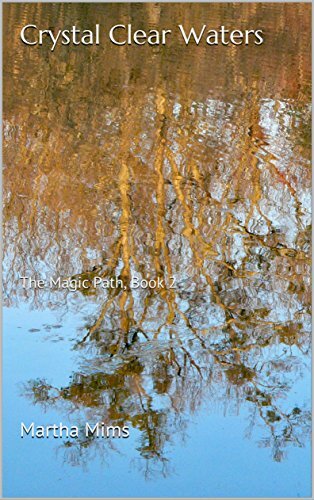 The first in The Magic Path series is Mark and the Queen Fish. A long time ago the people of the seaside city of Mara had everything that they needed, and knew how to talk with the creatures of the sea. But times changed…. Once there was a tiny fairy named Ladybug living in The Enchanted Forest on Twin Peaks Mountain. Everyone living on the mountain knew that Ladybug spent most of her time at Lake Crystal Clear Waters. But none of them knew why. There was something singularly special about Lake Crystal Clear Waters. Sometimes when she swims in it, she can visit other worlds. Look for these titles coming soon! and more to come after that!